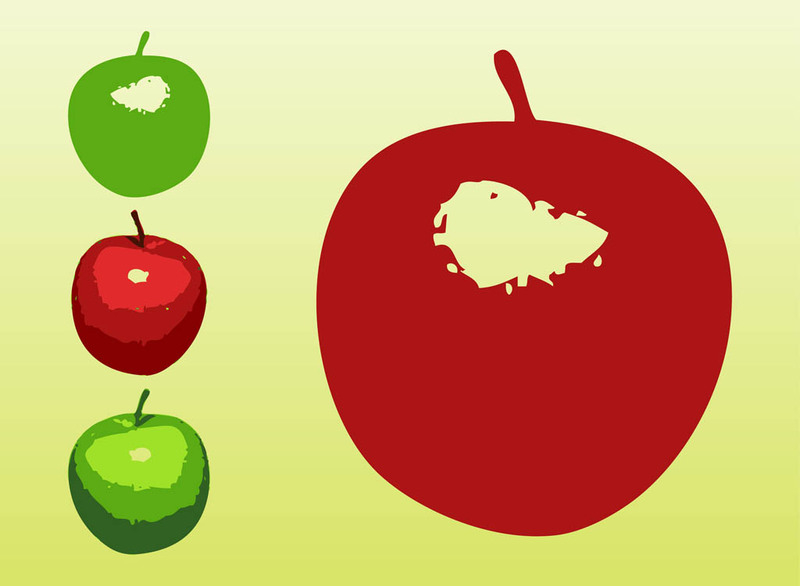 Vector image set with cartoon apples. Fruit traces with different colors and sizes. Solid color apple icons and multicolored fruit designs to create app icons, sticker, decals, company logos, product labels decorations, adverts and badges designs. Free vectors for healthy food and diets visuals. Tags: Apple, Apples, Eat, Food, Fruits, Icons, Nature, Plants.